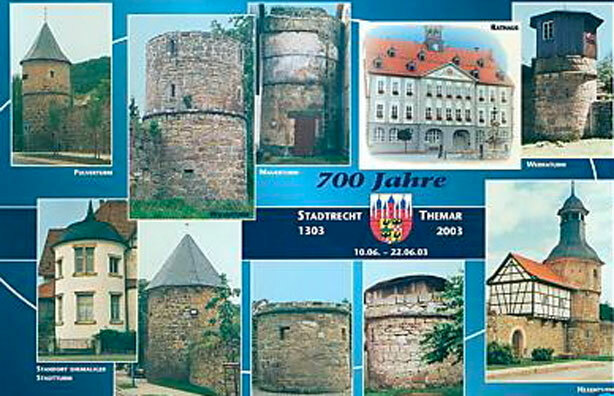 After the reunification of East and West Germany in 1990, Jewish Themarens, their children and grandchildren began to visit the city with greater frequency. Marion Sander, the daughter of Hilde Frankenberg Sander and her husband, Louis Sander, and the brother of Norbert, made several visits and remained in written contact with friends. (In 2007, two students at the highschool in Hildburghausen prepared their graduating essay about the Sander and Frankenberg families.) Robert Strauss, the son of Henry Levinstein, visited the city in 1996 and wrote about it in an article for salon.com. 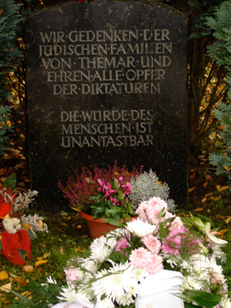 The Müllers visited frequently as did members of the Sachs family. 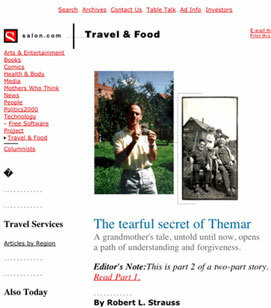 Robert Strauss, Themar 1996. Credit: salon.com. 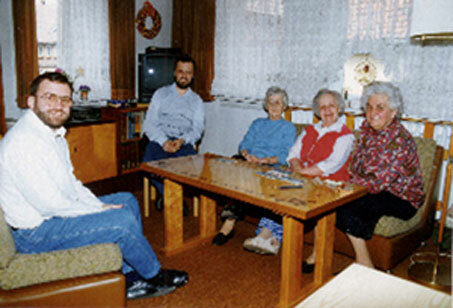 The sons of Julius Müller and their mother, c. 1992. Source: Wallburg Collection, Themar.